Read dynamic data stream and MIL,Read current DTCs etc. 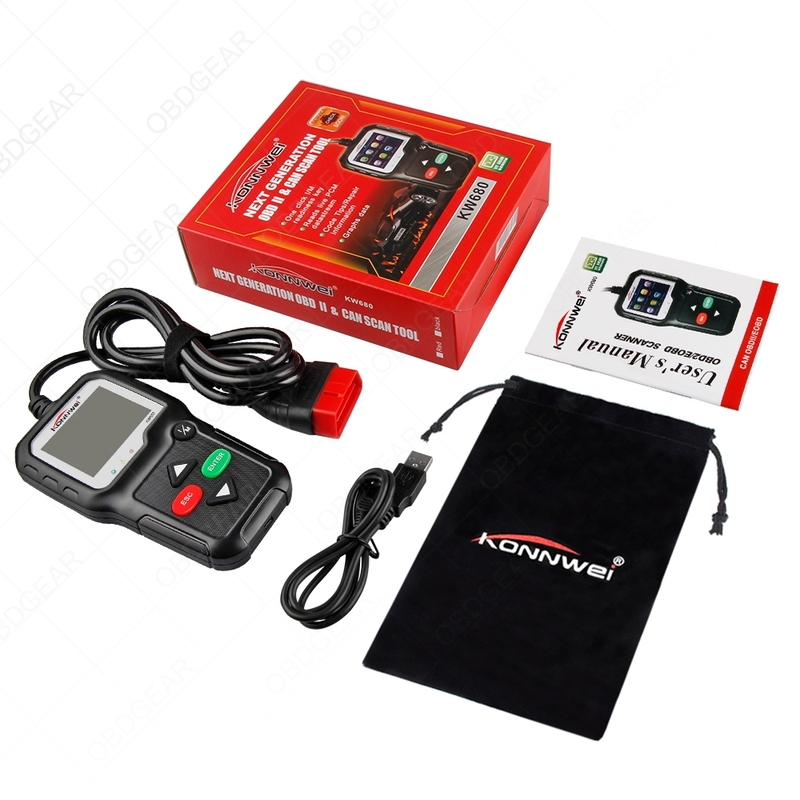 The KONNWEI KW680 OBD2 / EOBD / CAN Auto Diagnostic Scanner supports all 10 OBDII test modes on all OBDII compliant vehicles for a complete diagnosis. 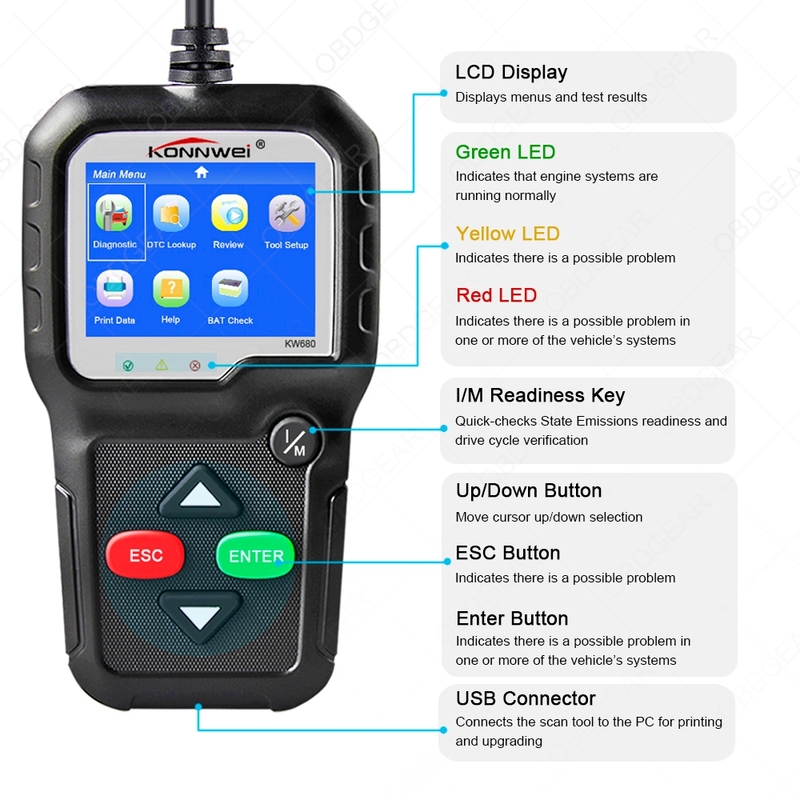 Featuring the unique patented One-Click I/M Readiness Key, TFT color display and built-in speaker, Real Time Battery Voltage Monitoring, the KONNWEI KW680 is truly the ultimate in power and affordability, allowing users to do their jobs faster. 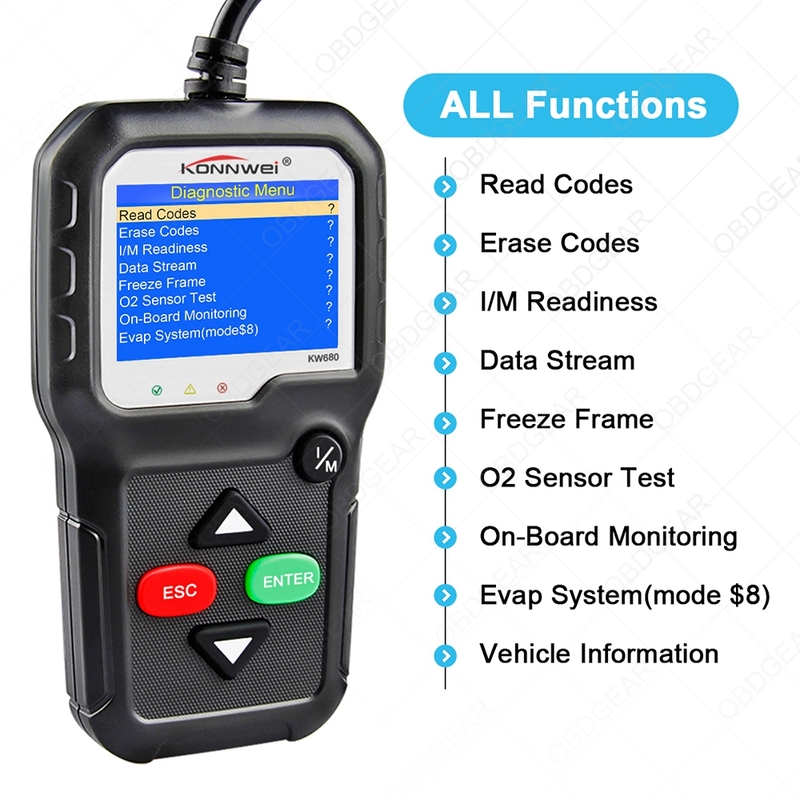 In addition,KW680 will be the most useful car diagnostic tool for every family and professional mechanic technician! 2. 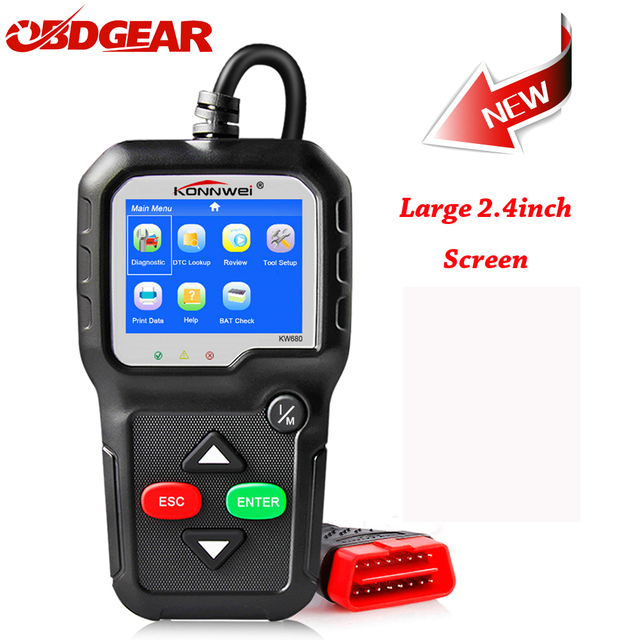 Multi-function OBD2 Automotive Scanner with good price. 3. 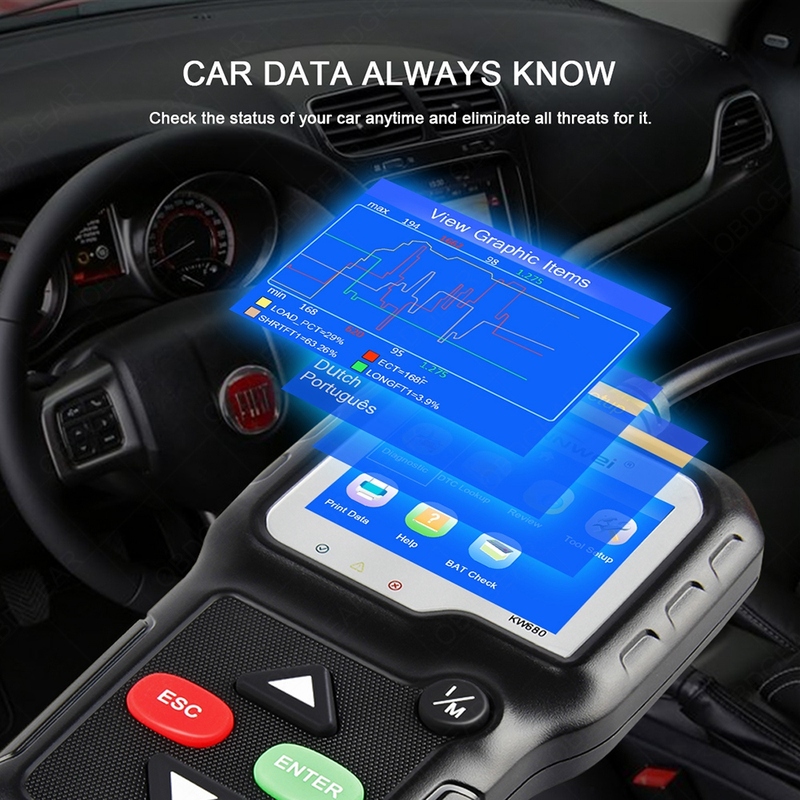 High Quality and High Resolution TFT colorful display helps you easily to find out the troubles of your car. 4. Bright color coded LEDs and built-in speaker provide both visual and audible tone for readiness verification. 5. 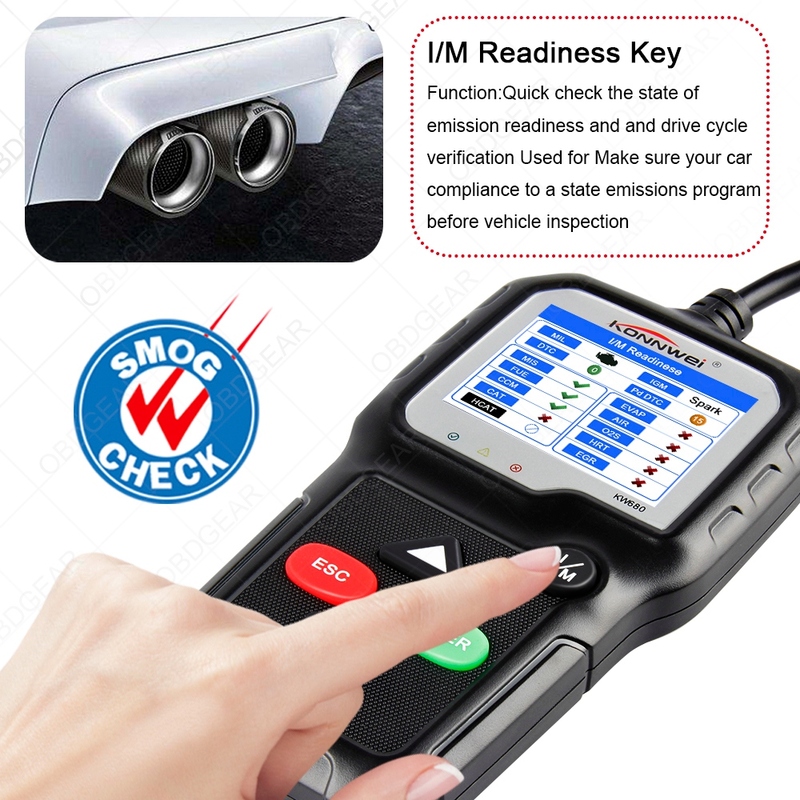 Brand New design Key pad, unique patented One-Click I/M Readiness Key, it is the best partner for your car repairing. 6. 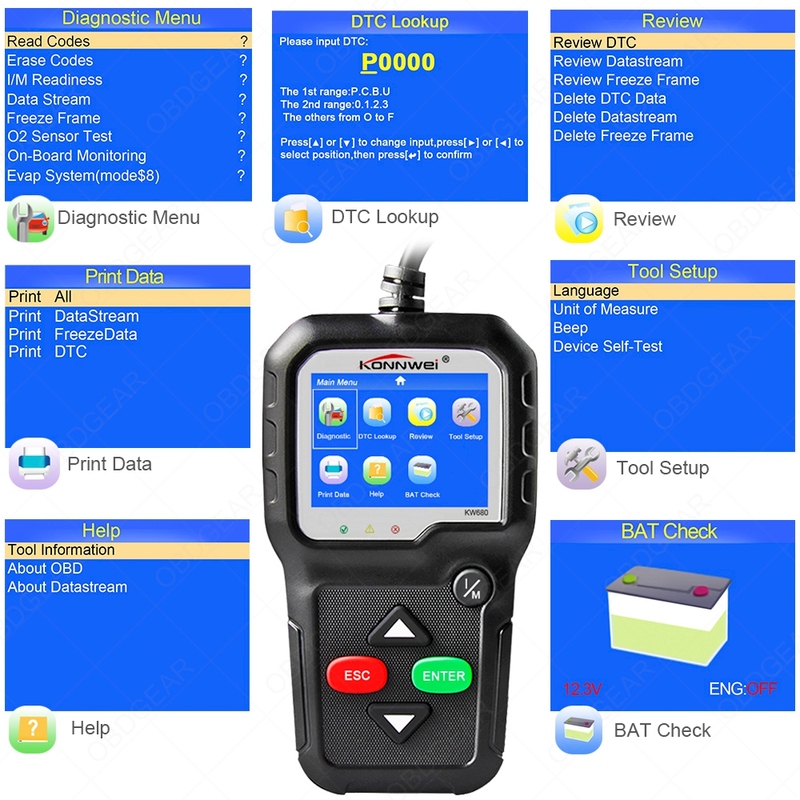 Featured battery real-time monitoring during diagnostics, avoid un-expected happened. 7. Intergrated memory card allows storage of Trouble Codes, Live Data and freeze frame, Playback and review data when out of vehicles. 8. 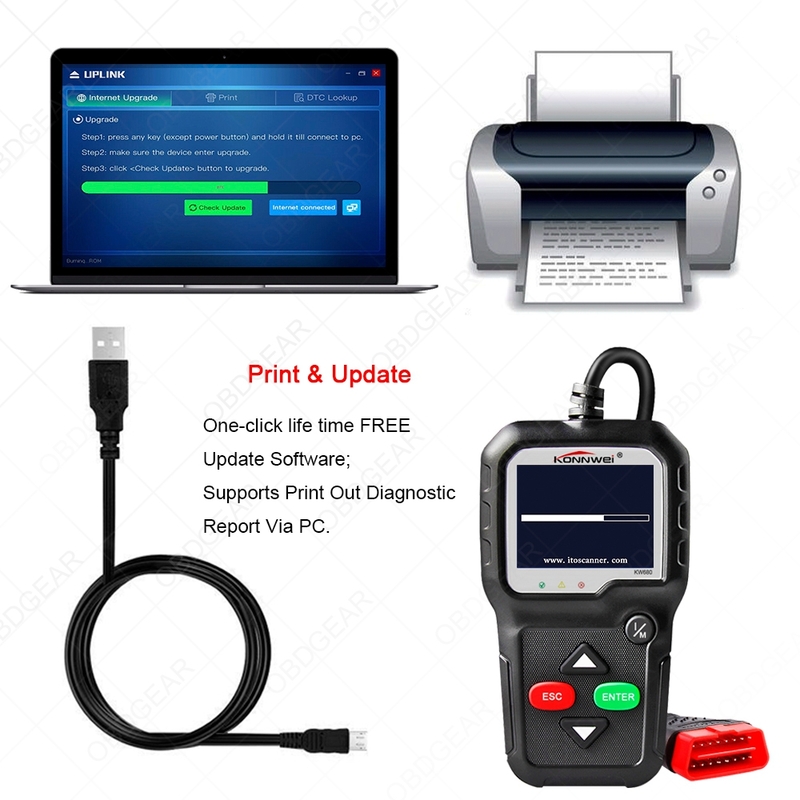 Data printable through USB cable, allows modify and printing storaged data. 9. Internet upgradable via usb port, adapted to Windows XP- Windows 10. 1. Please plug the USB to you pc and connected the konnwei kw680 . ， you will see below pictures shows. 1. 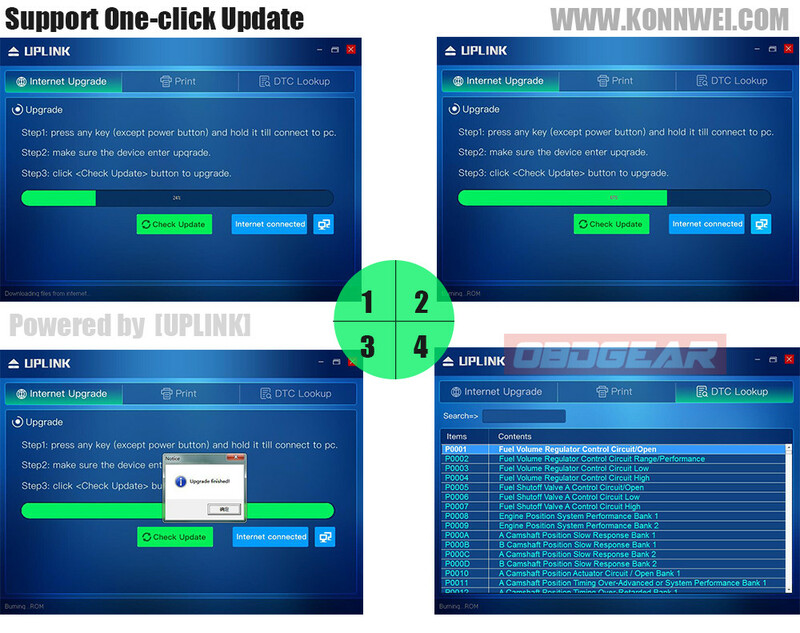 After install the KONNWEI program on PC, connect the scanner to PC with USB cable. 2. Open software "Konnwei" , Select "Print" optioni. 4. 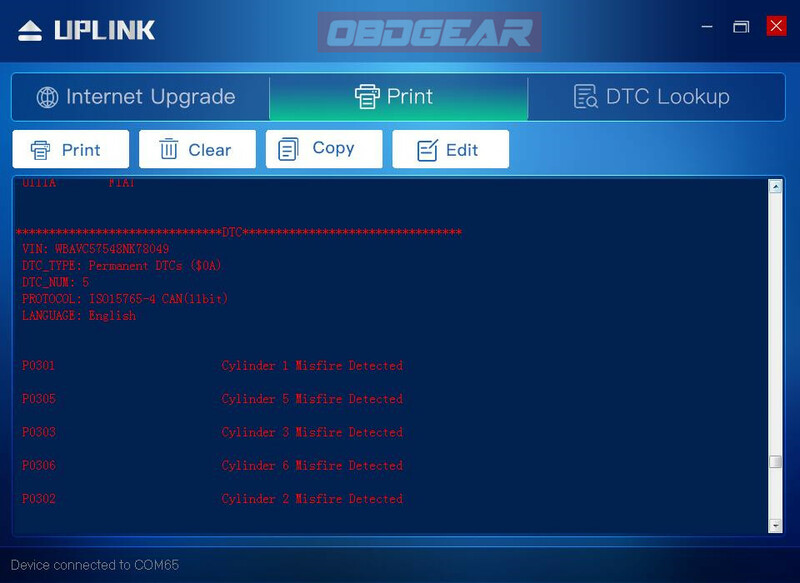 After select the print datastream, the data stream that storaged in scanner will be sent to PC software. and you may modify them before printing them out from PC. 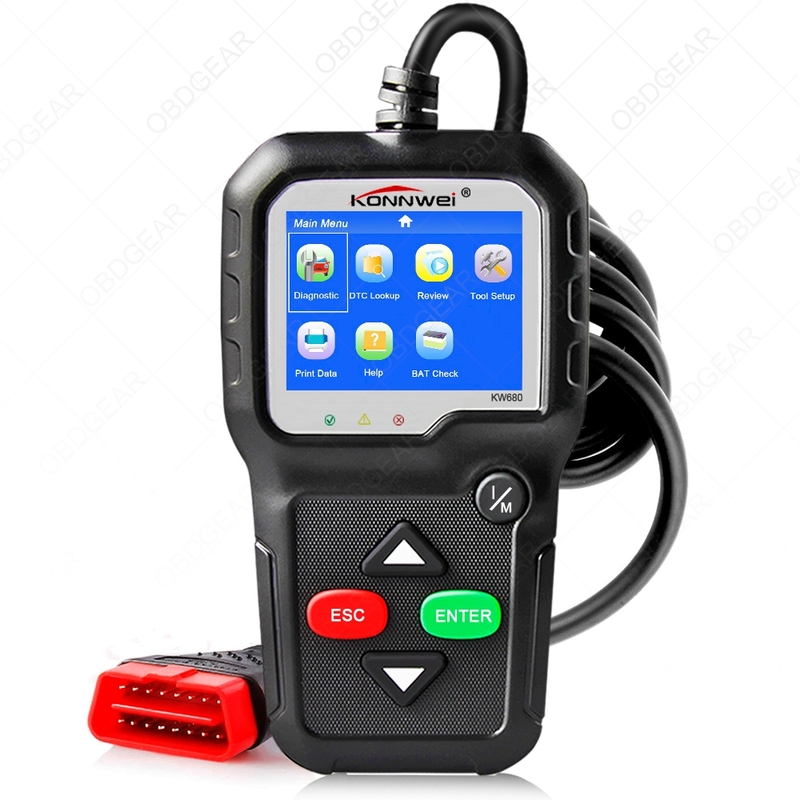 1*OBD2 Cable to scanner KW680 and 16pin obd2 port.